Put 300g cranberries in a pan with 100g caster sugar, 100ml port, the pared zest of 1 orange and 1 cinnamon stick. 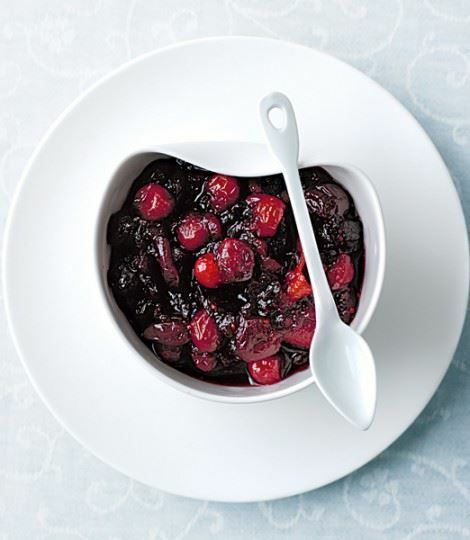 Heat gently and simmer until the cranberries start to break down and become sticky and tender. Set aside to cool until ready to serve. Many thanks to www.deliciousmagazine.co.uk for this recipe.